When I am looking to make a project for the holidays, I like it to have a nature spin to it. 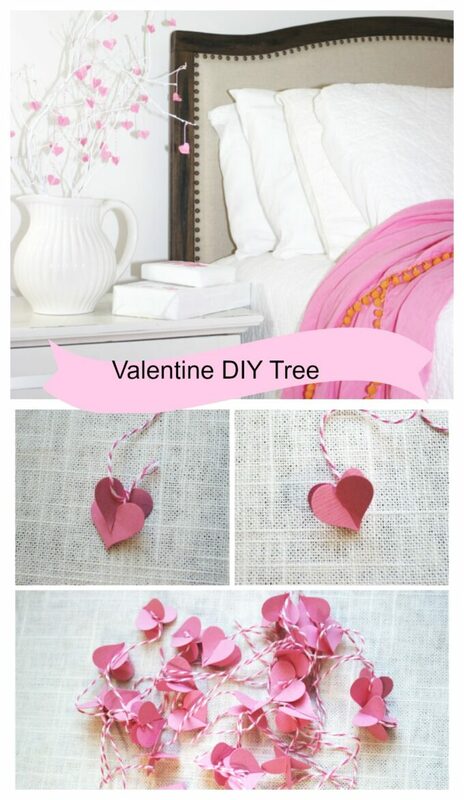 This Valentine tree diy is a version of the one that inspired me from the House that Built Lars. 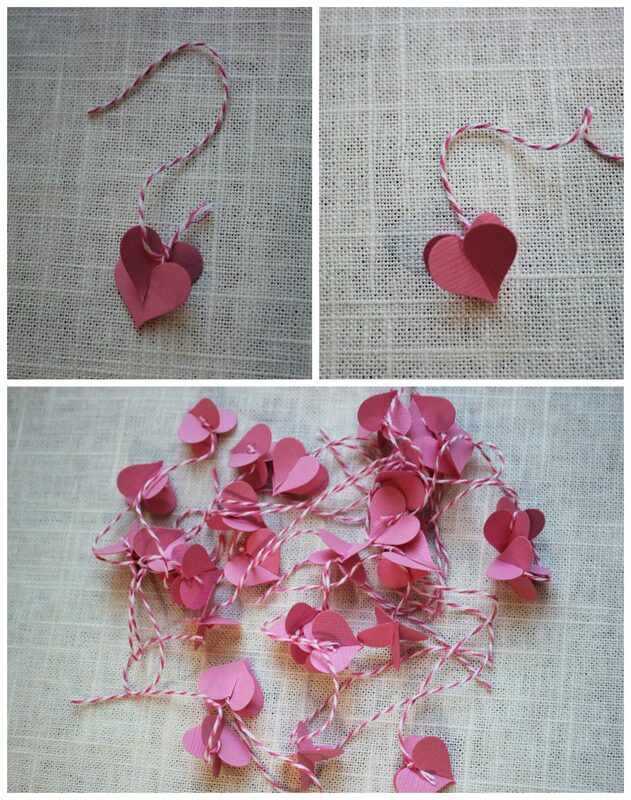 It has tons of little pink hearts that have a 3-dimensional look to them. The hearts took the most time to make, but the end results were worth it. I needed something colorful and cheery for my guest bedroom. This was the perfect valentine’s accent. Take the branches and clip them the same height. Double spray paint the branches. Let dry while you go make the hearts. Cut a slit on the top of one heart as well as on the bottom of another heart. Connect the two hearts together to form a 3-D heart. When you are adding the branches to the vase insert them in foam. This will keep them secure. 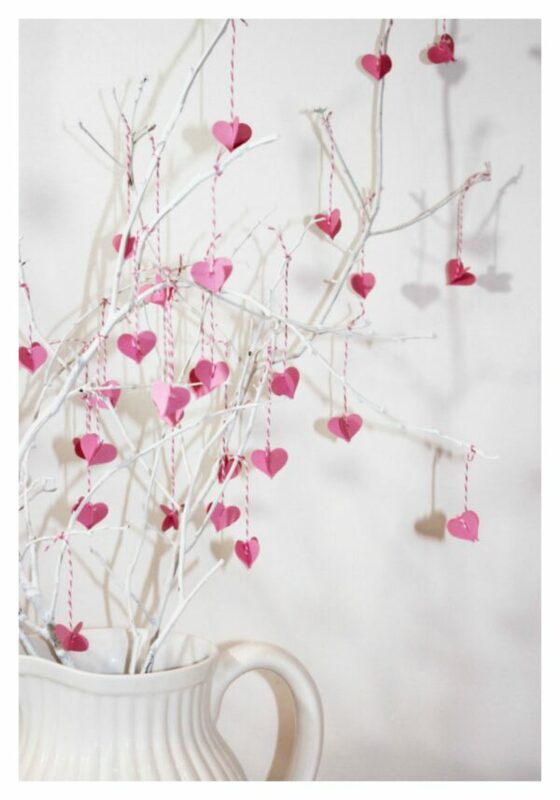 When you are adding the hearts, make sure you tie them to the branches all the same height. Add them everywhere. The fuller the tree the better it will appear. They hearts tend to get tangled when you move the tree, so untangle them after you find the perfect location to display. I’m truly excited about the outcome. 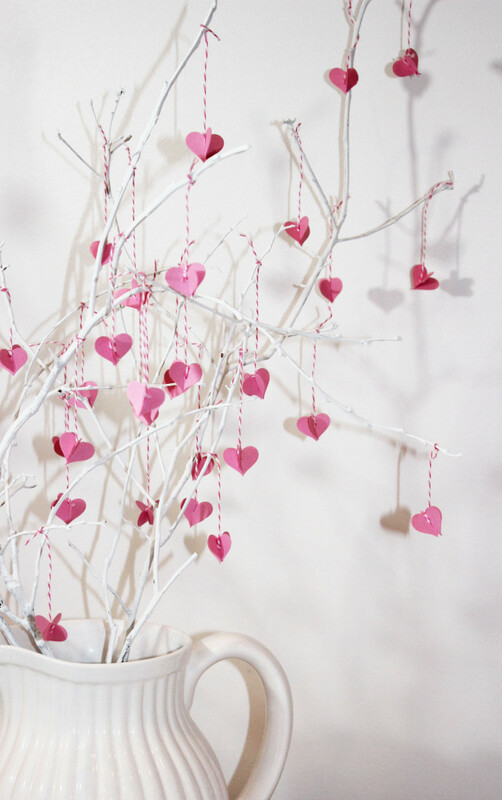 Will you be putting love in the air with this adorable heart tree diy. 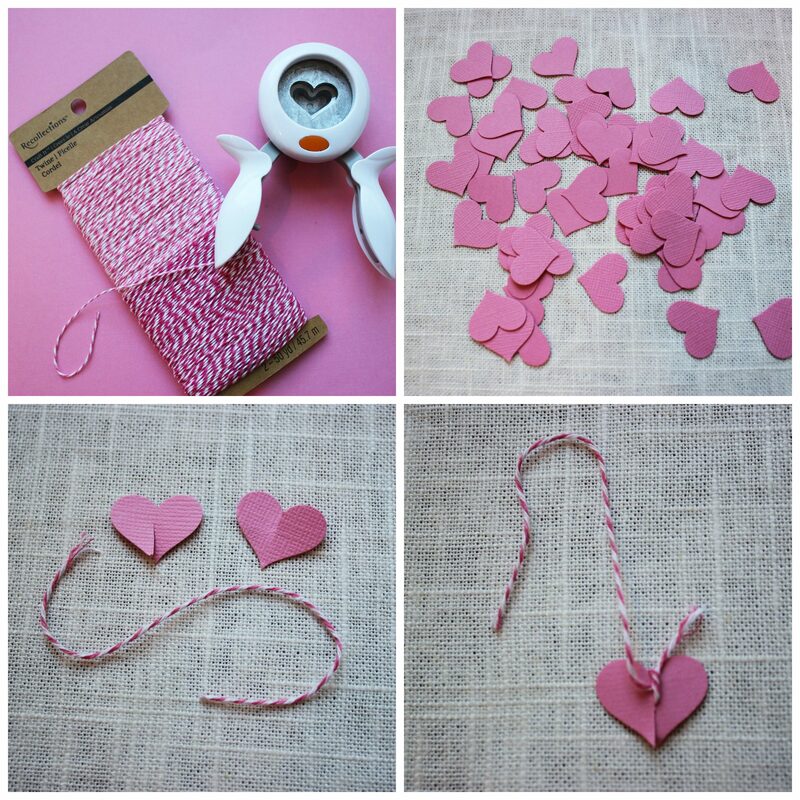 It was such a easy product, a-bit time consuming to make the 3-d hearts, but thats it, everything else easy. Love to make hearts in different colors. 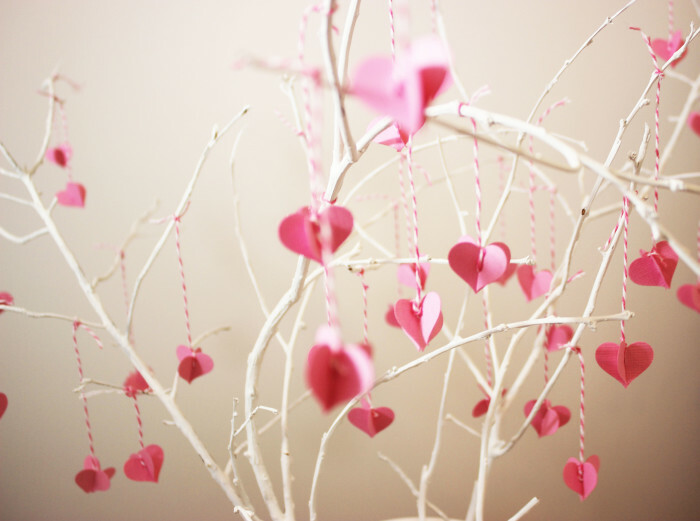 Your heart tree is beautiful and very understated. I love how the hearts look like flowers until you look more closely. It was a pleasure attend this very nice party, that i enjoy visiting each week! Loads of fun and pretty projects to get inspired. Barb, Thanks for pinning the tree diy, its one of my favorite crafts to make. You are so sweet to share it on FB.